The Compassionate Classroom is a long awaited how-to guide for educators who care about creating a safe, productive learning environment. With 45 years combined teaching experience, Sura Hart and Victoria Kindle Hodson merge recent discoveries in brain research with the proven skills of Nonviolent Communication and come to a bold conclusion - when compassion thrives, so does learning.Learn powerful skills to create an emotionally safe learning environment where academic excellence thrives. Build trust, reduce conflict, improve cooperation, and maximize the potential of each student as you create relationship-centered classrooms. This how-to guide is perfect for any educator, homeschool parent, administrator or mentor. Customizable exercises, activities, charts and cutouts make it easy for educators to create lesson plans for a day, a week or an entire school year. 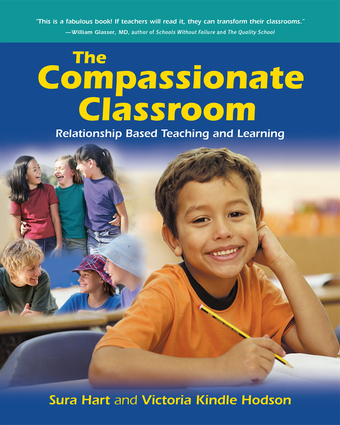 The Compassionate Classroom is the first complete curriculum for teaching NVC to elementary age students. Sura Hart and Victoria Kindle Hodson share a combined 45 years of elementary teaching experience, partnered with 12 years experience learning and teaching NVC. Hart is a CNVC Certified Trainer, an experienced presenter and worldwide leader in the incorporation of NVC in schools. Hodson is the co-author of the bestselling book, Discover Your Child's Learning Style. She is a prominent speaker and co-director of the Learning Success Institute in Ventura, California.